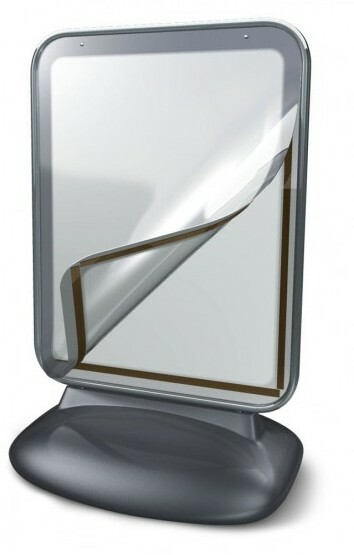 Easy graphic attachment with magnetic panel. Wheeled base for easy transportation. Lead time: 3-5 working days. The Magnetic Pavement Sign makes advertising outdoors almost effortless! 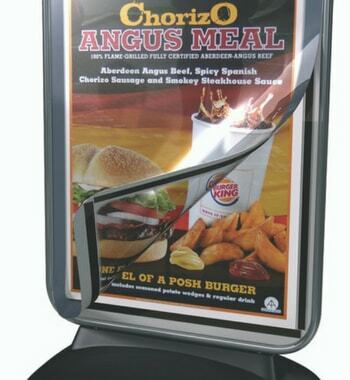 Featuring a magnetic top hinged poster cover, you can attach and replace graphics in seconds. Perfect for use in retail outlets or as shop front signs where you are looking to advertise your latest offer, brand, product or service. The very practical pavement sign also features a wheeled base to make transportation wheely easy! Base is also water filled for stability. 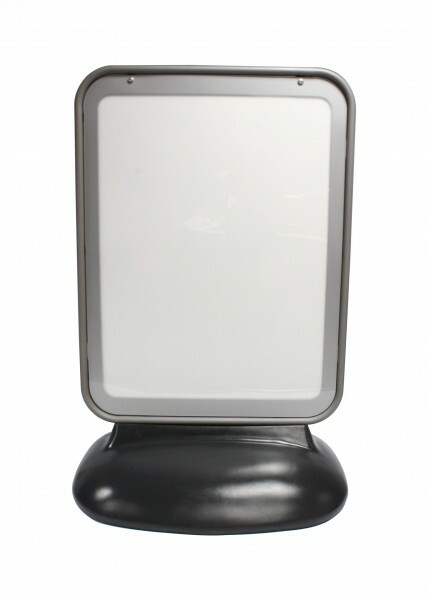 For different sizes and outdoor products, see our full outdoor displays range. 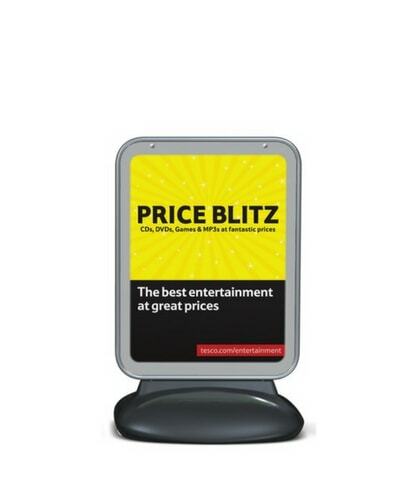 Freestanding Magnetic Pavement Sign - 30" x 40"
Prices exclude VAT and delivery. Upload your artwork here. Your details from this upload will be matched to your order. The artwork quality and size will be checked and if there are any problems, we will let you know. Securely fasten magnetic poster cover closed.